Washington, DC–(ENEWSPF)–February 13, 2017. Love is in air. It seems like everywhere you look, you can see tender moments between couples — including in the animal kingdom. So this Valentine’s Day say, “Awww!” with these sweet pics of animals showing affection. 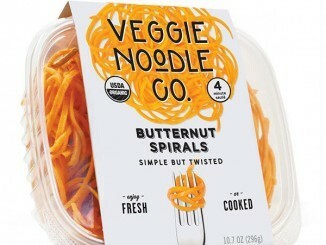 Seriously — how ridiculously cute is this? 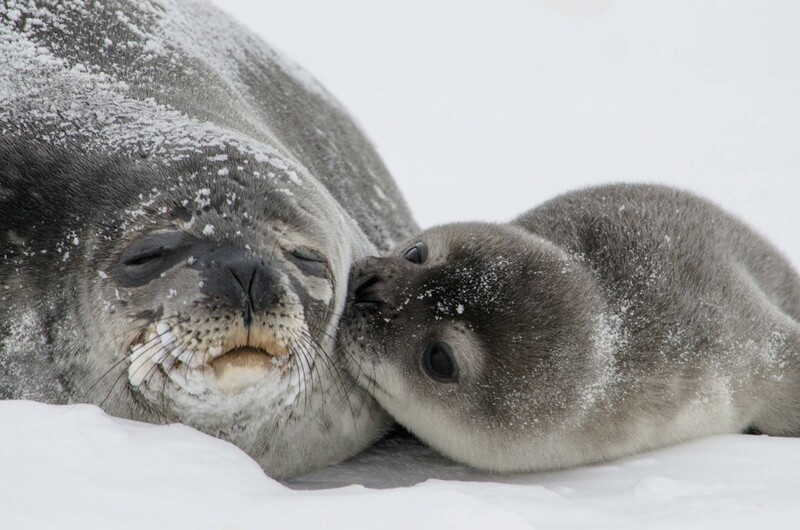 A Weddell seal pup gives its momma a kiss. The Weddell seal population of Erebus Bay, Antarctica, has been extensively studied for over 40 years. It’s one of the longest running studies of a long-lived mammal. Between September and October, Weddell seals give birth to one pup, and the pup will stay with the mother for 5-6 weeks. Photo by William Link, USGS. Nothing says love like these two great horned owlets snuggling in a heart-shaped hole. They nest earlier in the year than most birds, so great horned owl babies are ready to hunt when other wildlife young are easy prey. Photo from Grand Teton National Park by Jon LeVasseur (www.sharetheexperience.org). 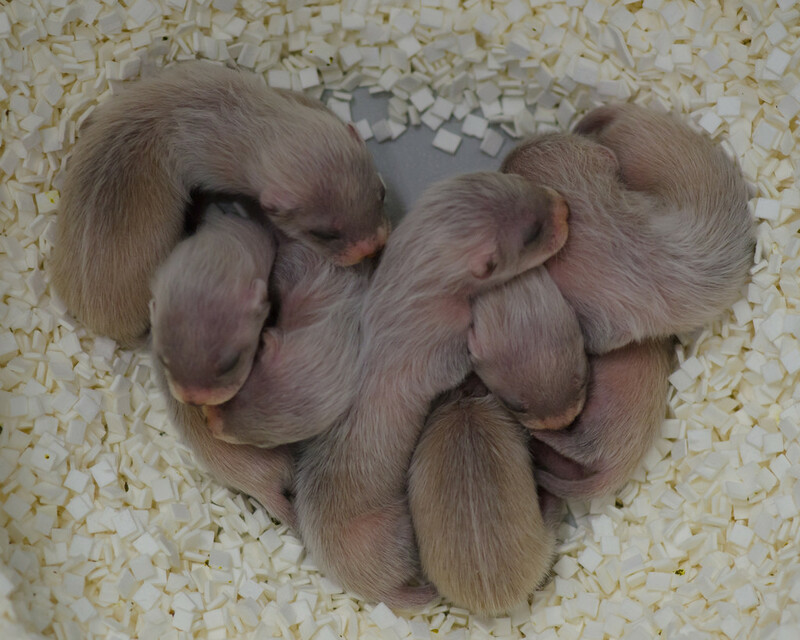 Week-old black-footed ferret kits born at the National Black-Footed Ferret Conservation Center form a heart shape as they cuddle. One of the most endangered mammals in North America, Black-footed ferrets are born blind and helpless. By 90 days of age, the kits are 90 percent of their adult size and adept at hunting. Learn more about U.S. Fish and Wildlife Service’s Black-footed ferret recovery efforts. Photo by Kimberly Tamkun, USFWS. 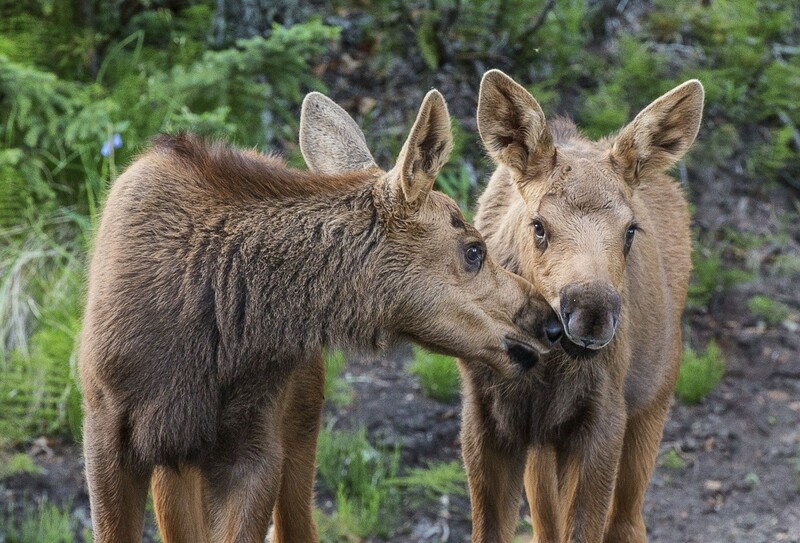 Moose calves nuzzle each other while posing for the camera. Female moose (called cows) give birth to 1-3 calves, with triplets being rare. At birth, calves weigh 28-35 pounds and pack on weight quickly — reaching 300+ pounds within five months. Photo from Fortymile Wild and Scenic River by Bob Wick, Bureau of Land Management. Not all couples show affection the same way. Clearly. Eagles mate for life, choosing the tops of large trees to build nests, which they typically use and enlarge each year. Nests may reach 10 feet across and weigh a half ton. Breeding bald eagles typically lay one to three eggs once a year. 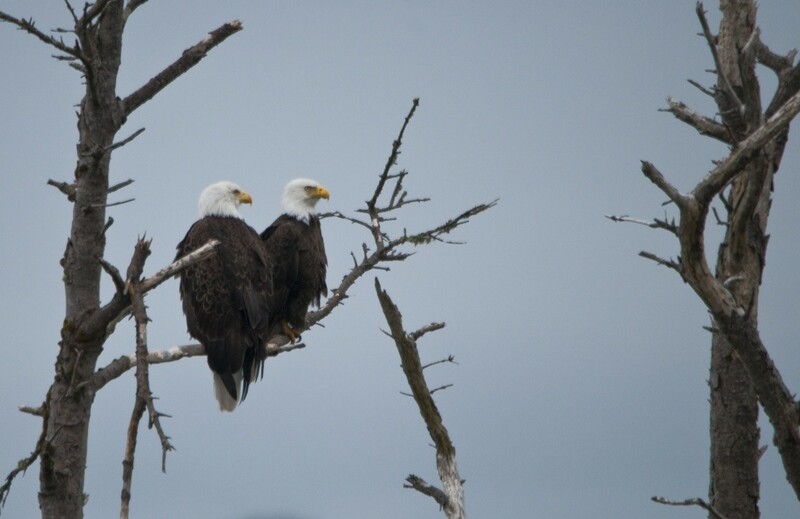 Learn more about bald eagles. Photo by Roy W. Lowe. Black-tailed prairie dog pups greet each other with a “kiss” at Rocky Mountain Arsenal National Wildlife Refuge in Colorado. 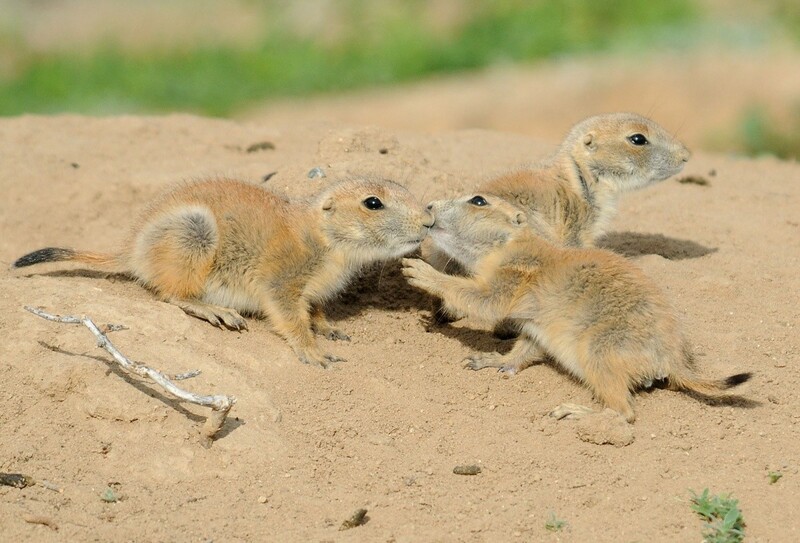 This sweet act, which involves touching each other’s front teeth or nose, helps prairie dogs maintain kin recognition. Photo by Rich Keen, DPRA. Many birds are monogamous, but Laysan Albatrosses mate for life. Young birds search for a mate with elaborate courtship dances. Once they hit breeding age, Albatrosses breed their entire lives, hatching and caring for one chick at least every other year. Pictured here is Wisdom — the oldest living, banded, wild bird — and her current mate at their nest at Midway Atoll National Wildlife Refuge. Photo by Pete Leary, USFWS. 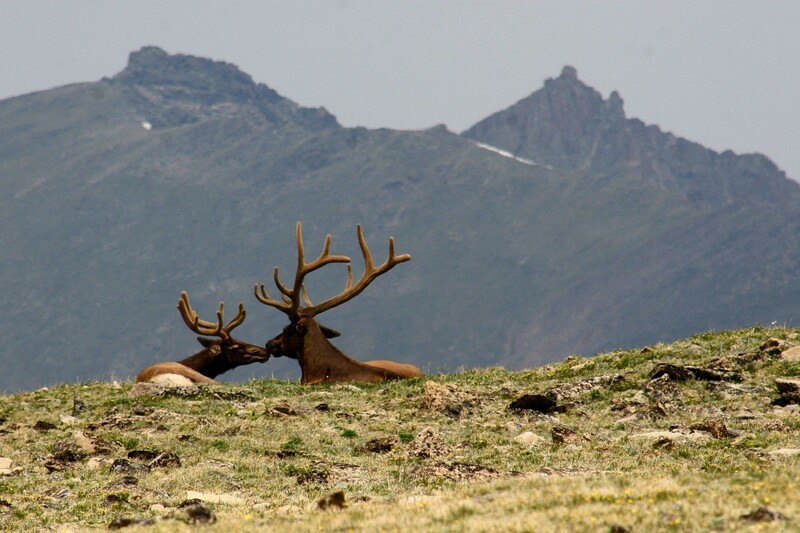 Two elk smooch while enjoying the view at Rocky Mountain National Park in Colorado. Every autumn, elk gather for the rut or annual mating season. Bull elk can be heard calling to females with a crescendo of deep, resonant tones that rise rapidly to a high-pitched squeal before dropping to a series of grunts. Remember to keep your distance when observing them. Mating wildlife enjoy their human-free personal space. Photo by Brent Willmert (www.sharetheexperience.org). 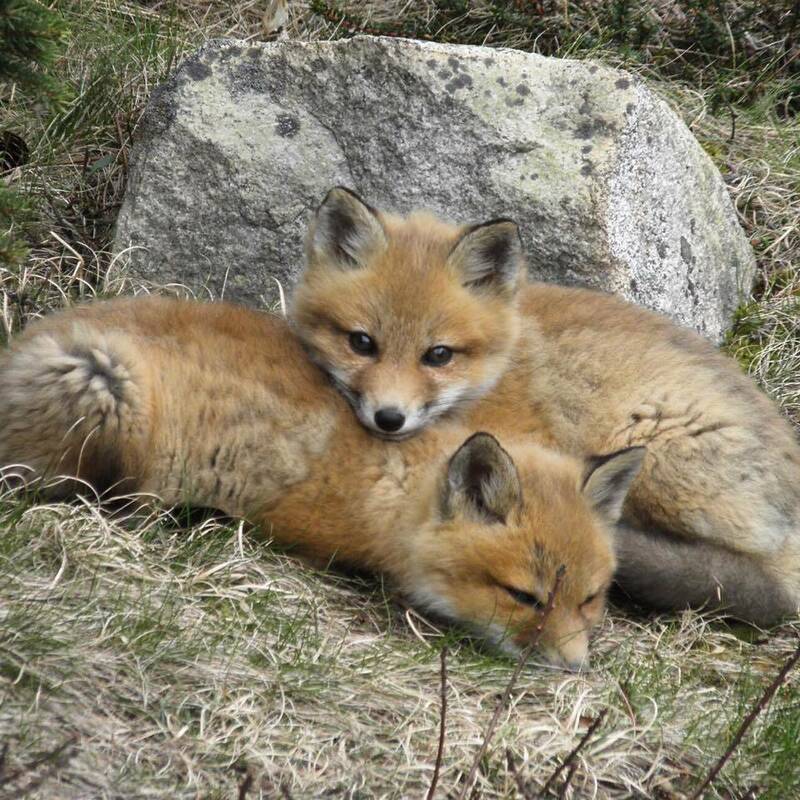 These two little red foxes snoozing at Maine’s Acadia National Park warm the heart. A mother fox gives birth to a litter of 2-12 kits, which the parents raise together. When the kits are about seven months old, they’re ready to strike out on their own. Photo by Jana Matusz, National Park Service. 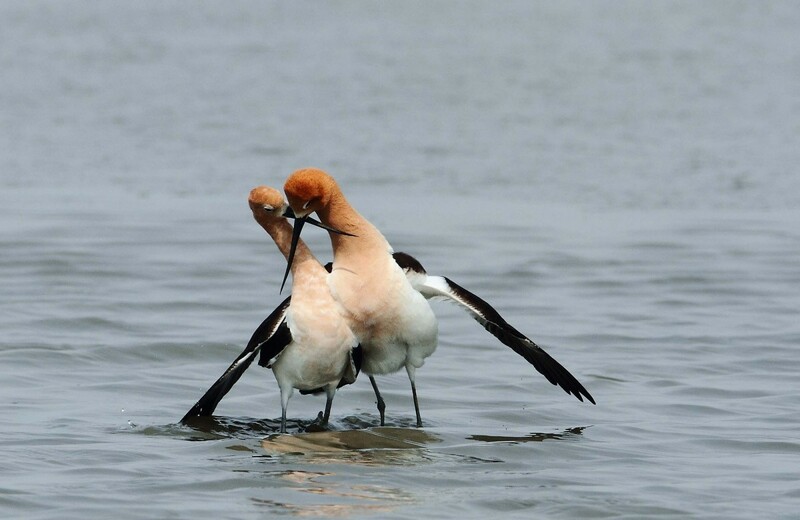 This might look like a fight, but it’s part of the avocets’ complicated courtship ritual. After mating, avocets stand side by side with their bills crossed and the male’s wing draped over the female. National wildlife refuges, such as Bombay Hook in Delaware and Bear River in Utah, are great places for birding experiences. Photo by Julio Flego (www.sharetheexperience.org). 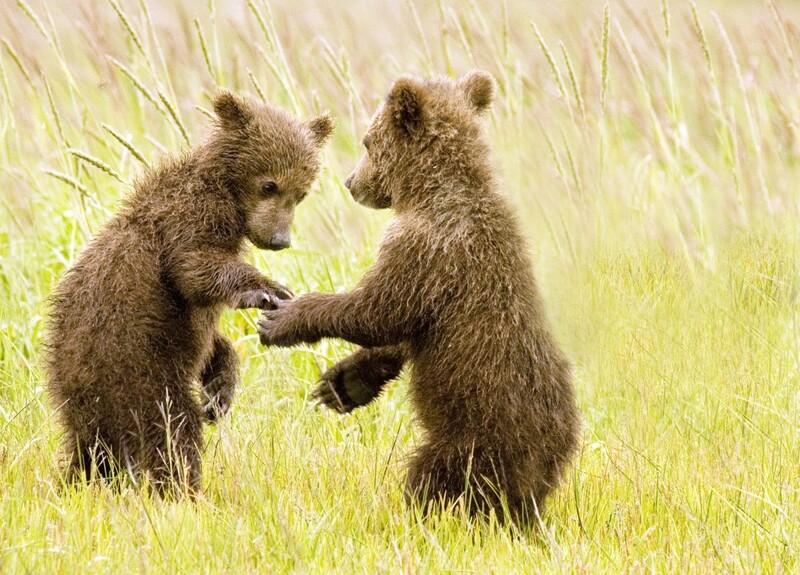 Two bear cubs hold paws in this sweet moment. While very little is known about playing in the animal kingdom, it’s not uncommon to see them horsing around. Bear cubs have been observed sparring with their siblings, wrestling with their mothers or froclicking with sticks. Photo from Lake Clark National Park and Preserve in Alaska by Gretchen Kaplan (www.sharetheexperience.org). Sea otters have a lot of cute behaviors — from holding paws as they float on their backs, to mothers cuddling their napping babies. 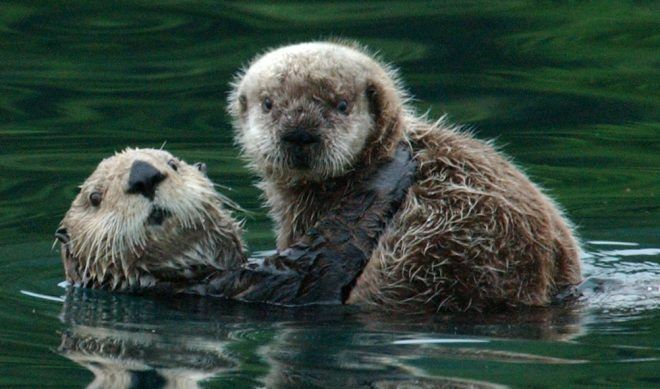 The smallest marine mammals, sea otters are mostly found off the coast of Alaska. Once nearly eliminated by fur hunters, sea otters have made a spectacular comeback throughout the North Pacific, following protection in 1911 and reintroductions about 30 years ago. Photo by USFWS. Prefer to spend time alone? Check out these solitary animals.